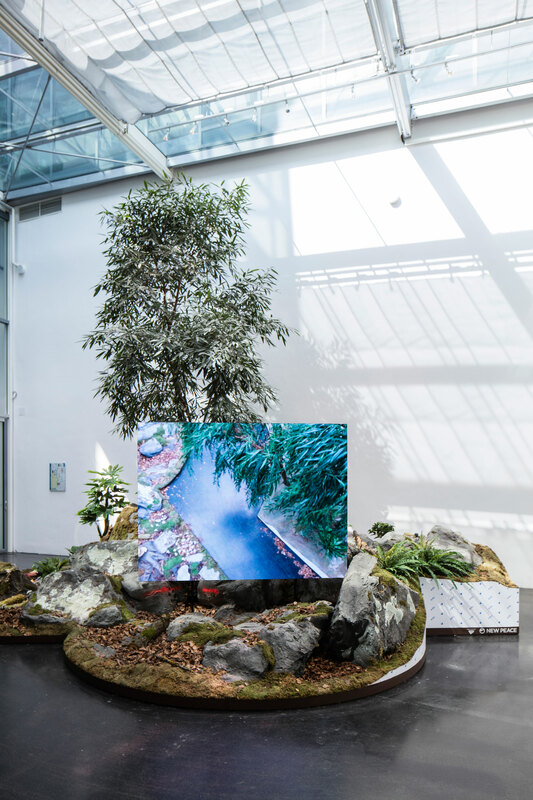 A Reflected Landscape is a terrain comprising a mixture of real and artificial greenery, rocks, and an LED video installation featuring content thematically centered around the landscape itself. 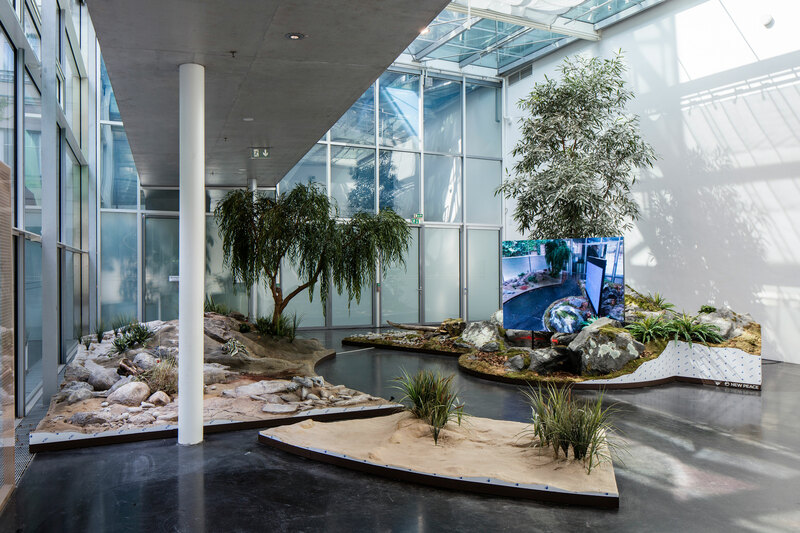 It is a landscape reflected in its own mediated image. The recursive nature of the work embodies contemporary mechanisms of reflection and feedback whose non-linear and fractal dynamics are inherent to life and matter itself. 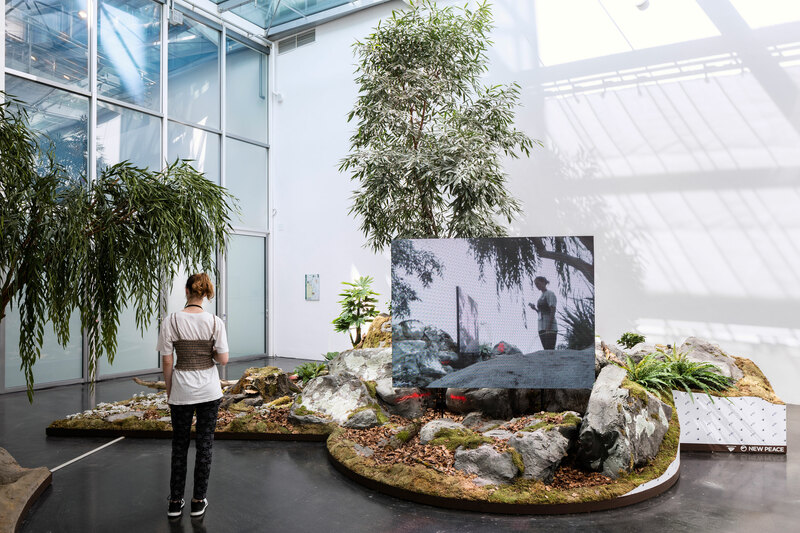 Like the central Buddhist concept of Pratityasamutpada, or dependent coarising, Timur Si-Qin suggests humans and nature, as mutually symbiotic agencies that represent and construct each other—a post-anthropocentric diorama in which nature has gained the capacity for self-understanding.